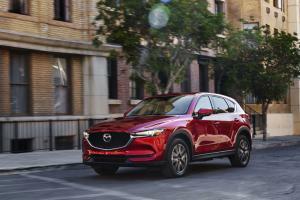 The new 2017 Mazda CX-5 has been unveiled at the Los Angeles Auto Show, with the company citing a keyword of ‘refined toughness’ as their reference point during the design process. 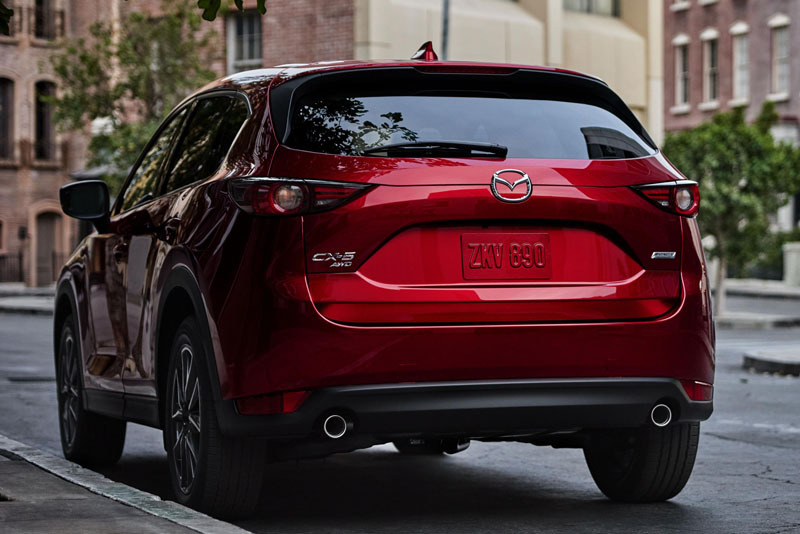 Compared to the old model, the new CX-5 has a wider foot-print and, with A-pillars positioned rearward by 35mm, a sleeker profile. 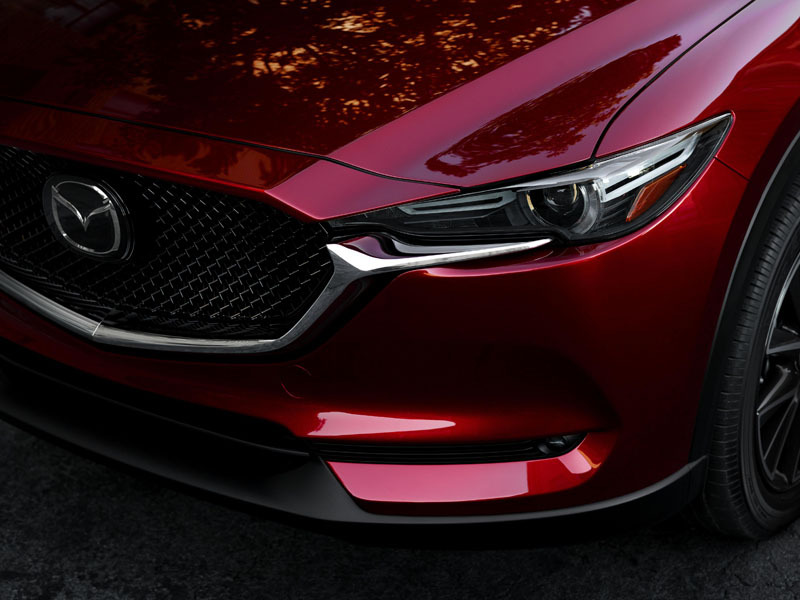 The headlights are thinner and positioned lower down, and Mazda’s engineers have paid particular attention to how light interacts with the various surfaces, even creating a new colour – Soul Red Crystal – to help emphasise this. 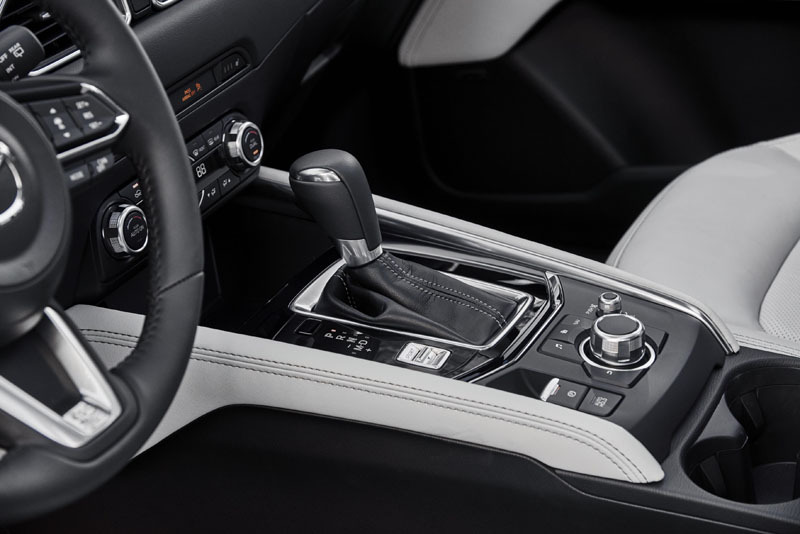 The interior is particularly successful: an enticing blend of leather with contrast stitching, warm wood and brushed metal finishes help create a sensation of quality. 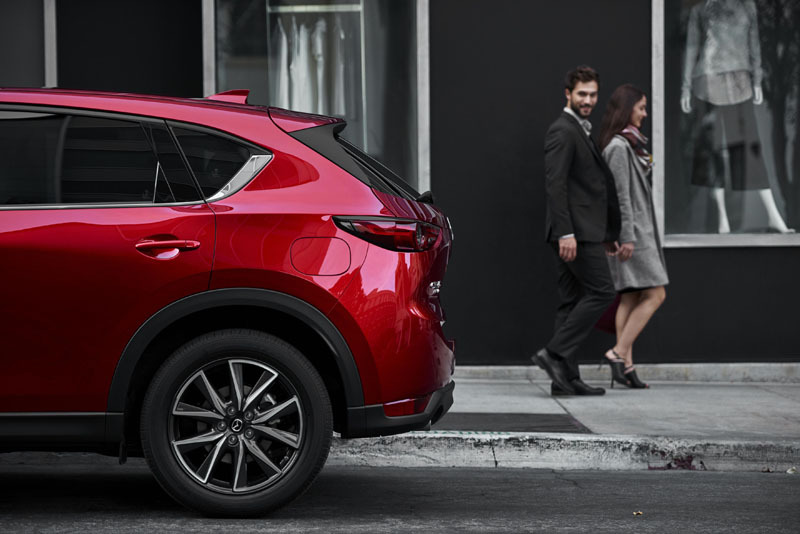 Over the old model, the floor console has been raised and the shift lever repositioned to fall more naturally to hand, while visibility has increased thanks to the more rearward A-pillars and the lower belt-line. 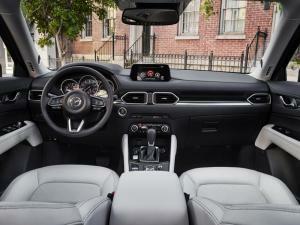 The instrument cluster now incorporates a 4.6-inch high-resolution colour display; the head-up display now includes navigation information; and the 7-inch touch-screen that controls the company’s excellent MZD Connect media system has been moved to the top of the dashboard, where it requires less eye movement for the driver. 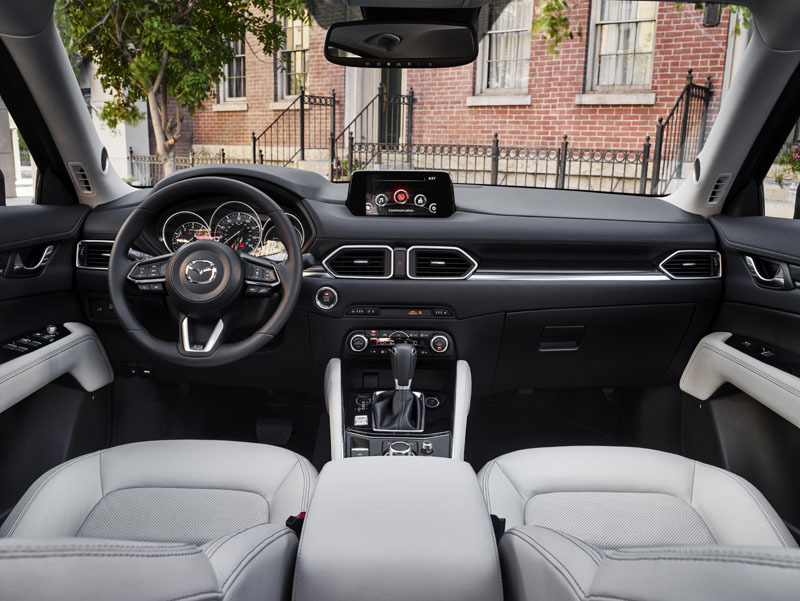 There’s a new sound system, too, co-developed with Bose, that sees 10 speakers located throughout the interior and matched with ambient noise compensation and surround sound technology. 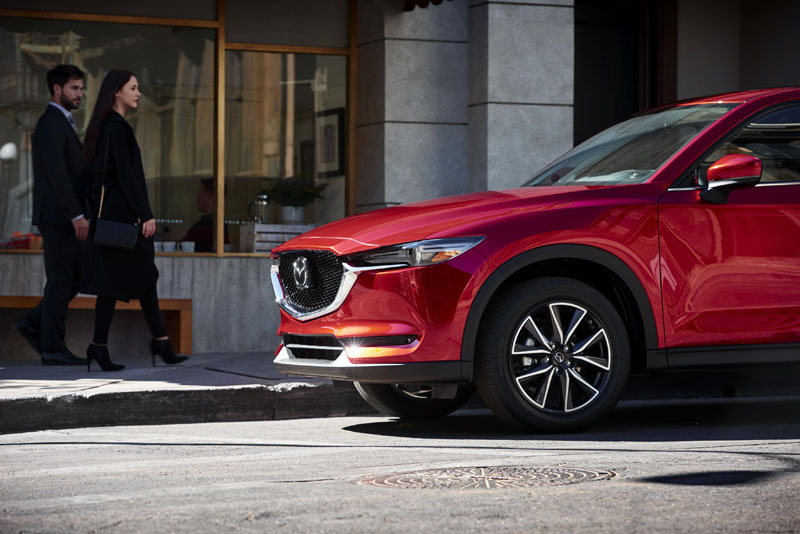 Mazda claims the cabin is now quieter than before, with vibration-damping materials through-out as well as optimised air flow contributing to 10% clearer conversation levels at 100 kph. 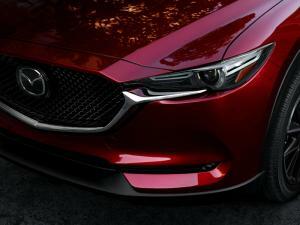 Engines include familiar 2.0-litre petrol and 2.2-litre diesel units, plus a 2.5-litre petrol, although the latter may be restricted to US markets. 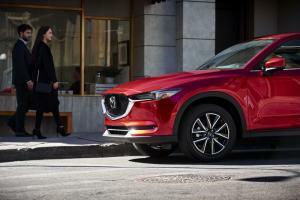 Coupled with either manual or six-speed automatic transmissions, they optionally drive all four wheels through an updated version of Mazda’s i-Activ AWD system. The new CX-5 also receives the company’s new G-Vectoring Control (GVC) that adjusts engine torque in response to steering wheel inputs, and the system is said to enhance responsiveness and stability. 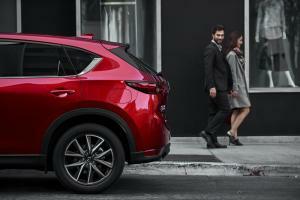 Further chassis-enhancing changes include the use of new steering mounts for greater feel, larger front damper pistons and fluid-filled bushings, plus a new hill-hold function for the braking system. The new Mazda CX-5 is set to go on sale in Japan in February 2017, and will arrive in European markets shortly after.